RT Panacea - template with unconventional design approach. The template contains the Background Rotator, having the ability to change his appearance, has a built-in tool Color Chooser, designed for advanced configuration styles. The template is available 12 colors, 68 module positions and 15 styles modules. RT Panacea is based on a Ganry Framework and is compatible with JomSocial, Tienda, Virtuemart, K2 and JComments (third-party vendors). 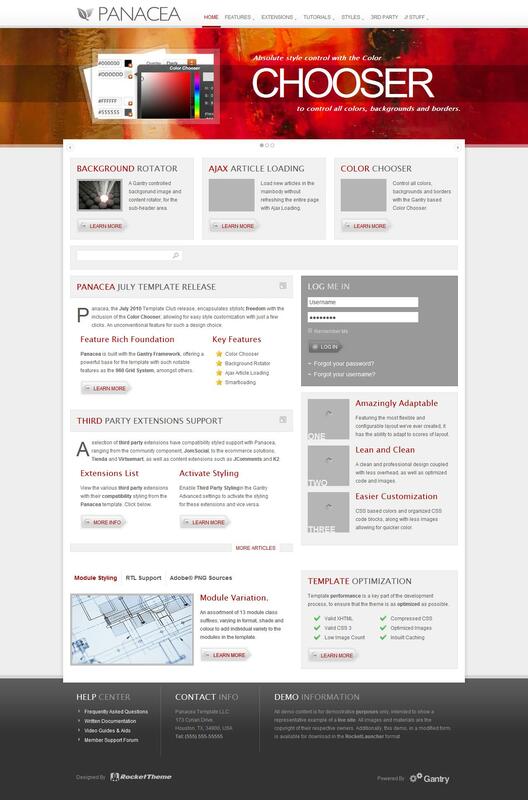 Template supports iPhone, for viewing on mobile platforms.